Friday’s Featured Food – WDs Ice Cream in Spanish Lookout, Belize. I really didn’t expect to be featuring a load of cool Belizean treats cuisine wise on my Friday’s Featured Food section, but then again if you’ve followed my journeys, you’ll remember I once worked as an ice cream seller in Bournemouth. Arrival at WDs ice cream shop in Spanish Lookout, Belize. Even before that I was always a fan of ice cream, and while Tequila Ice Cream in Mexico and Facebook Ice Cream in Armenia went down a treat, Belize whipped up a super special ice cream. Freezer full of WDs ice creams in Belize. We headed to remote countryside to try it and ended up in a village, or rather a collection of farms that form a large area known as “Spanish Lookout”. The most peculiar thong about the village of Spanish Lookout is that it’s not really a village, it’s not really Spanish and while it has views, it’s also not really a lookout! 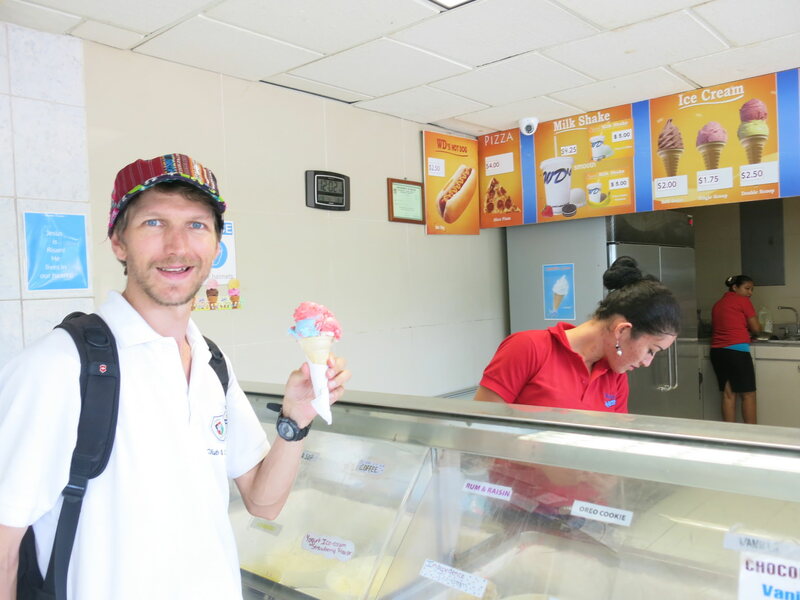 However Spanish Lookout offers three cool things – it has a large Mennonite community (who mostly speak German), it has a great Health Shop (called Reiners) and it has the ice cream factory which also opens as a shop – WDs. WDs ice cream shop at Spanish Lookout, Belize. That’s where we headed. Getting to Spanish Lookout means hiring a car or going on a tour with a driver. 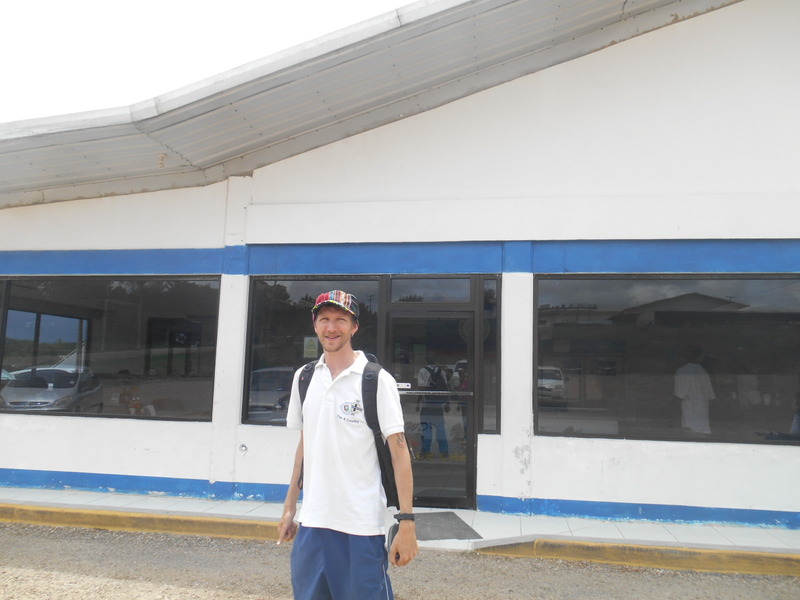 We met up with Belize based entrepreneur Nick Davies and he was able to organise transport for us up to Spanish lookout. Pay a driver some cash and you’ll be able to head up here no problem. Our driver was Shenley and off we headed to WDs. 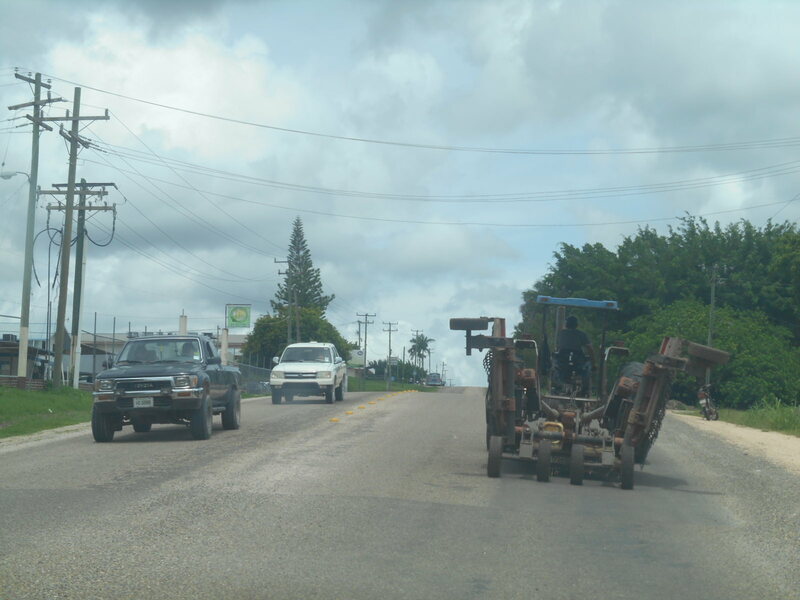 On the roads in the farming area of Spanish Lookout. Belize is a diverse country, and this diversity means a wide range. 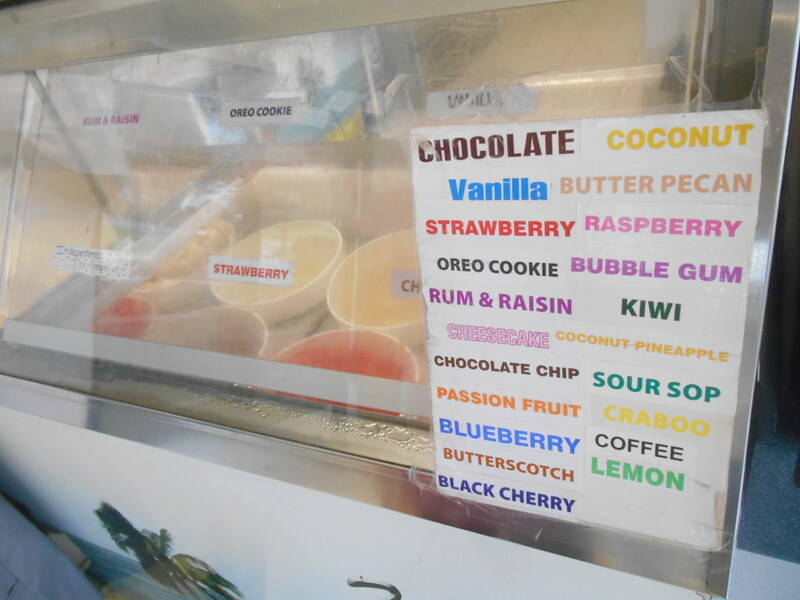 So guess what WDs has a wide range of ice creams. All decent prices too, and freshly made and frozen right here in deep Belizean countryside. 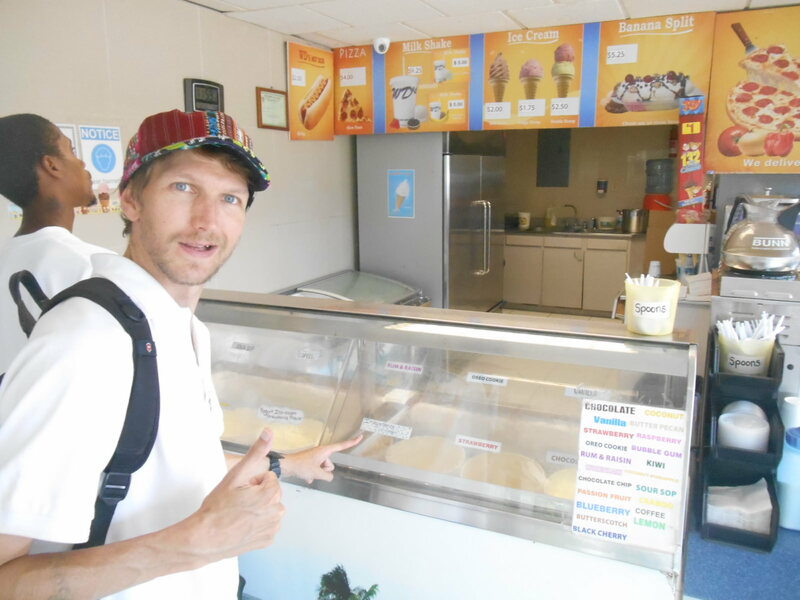 Choosing my ice cream at WDs. I went for an “Independence Ice Cream”, which of course is red white and mostly blue, mirroring the colours of the Belize flag. Panny chose a Cheesecake flavour ice cream, keeping up with the theme of cheesecake for the week having been very impressed by the cheesecake at El Rey Hotel. One Independence Ice Cream please! 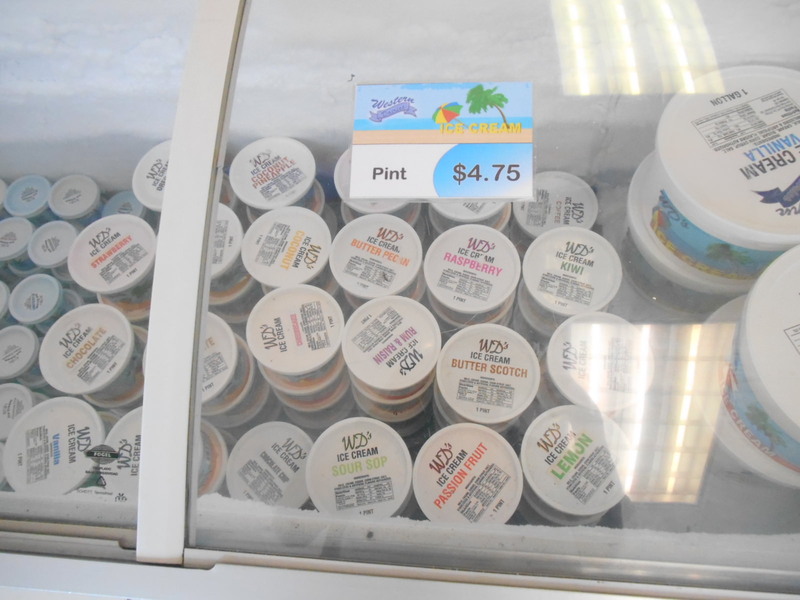 Friday’s Featured Food: Independence Ice Cream at WDs in Spanish Lookout, Belize. 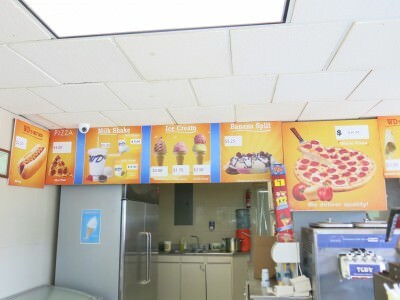 Both ice creams were 1.95 Belize Dollars. We sat down and ate them in the shop, which was pretty busy for a weekday. It’s because the ice cream is so good! You can also buy coffee and other drinks here plus the pizza is meant to be good too. 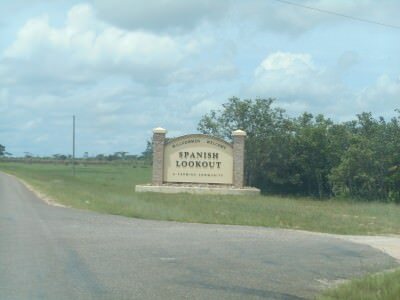 This makes a great unusual stop over and the memories of the place called Spanish Lookout will linger long! Panny and I with our ice creams at WDs. 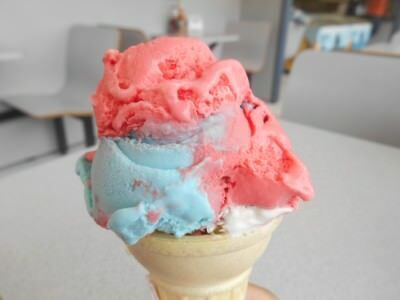 Here are two videos I made from the day we had the ice cream at Spanish Lookout. This entry was posted in Belize, Daily Features, Friday's Featured Food, North America, Spanish Lookout. Bookmark the permalink. I want to try some of that WD ice cream. 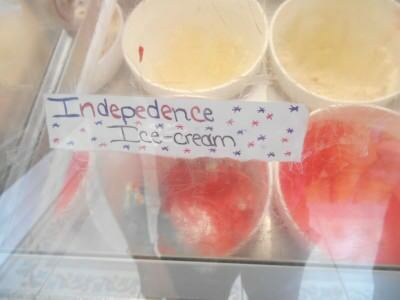 The Independence one looks yum! 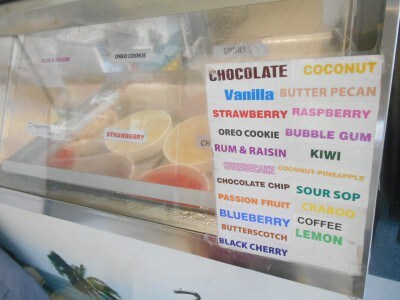 Now, I’m very much craving for some ice cream!